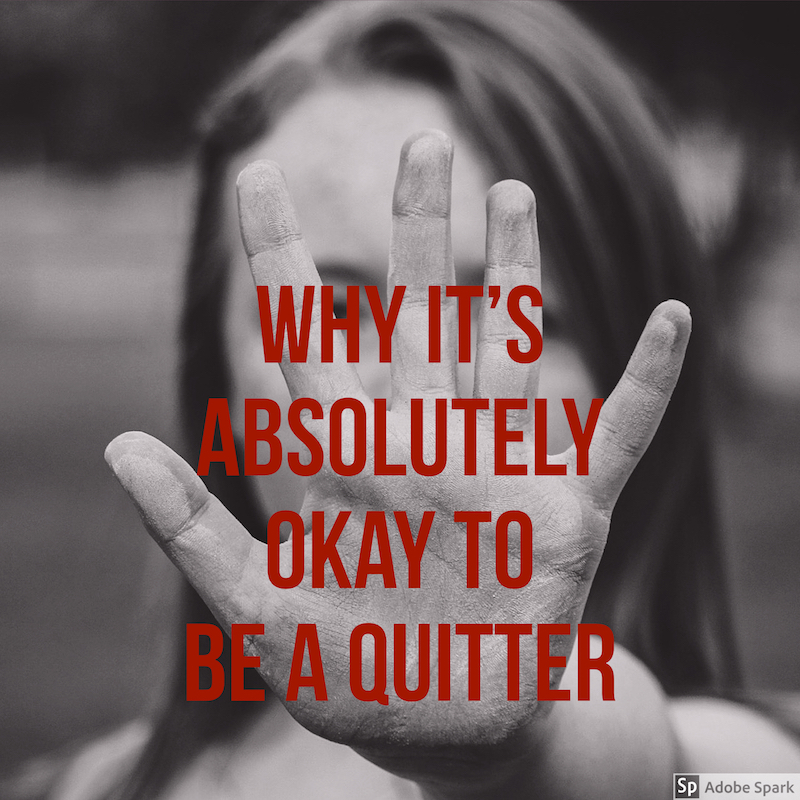 Quitting gets a bad rap. Almost three years ago, I retired from roller derby after a serious injury. I struggled with the fact that I had to quit. We’re conditioned to think quitting means we’re a loser, weak, or scared, that it’s always a negative. The truth is, sometimes it’s time to quit. I’ve done my fair share of quitting: jobs, hobbies, relationships. It can be painful to stand up and say “Okay, I’m all done here,” but it almost always comes with a rush of relief. I’m not saying I quit anything at the first inkling of discomfort, but the older I get, the shorter that time frame gets, where I’ll tolerate feeling bad. Some readers have a rule, giving a book 100 pages, three chapters, or a similar deadline before they quit. I don’t have any guidelines like that. I’m either “feeling it” or I’m not, and whenever the “not feeling it” kicks in, I put the book down. There are far too many wonderful books waiting for me to spend my valuable time with ones I don’t enjoy. The same goes for people, activities, and meals! It’s important to note: Putting a book down isn’t always a permanent pass. Often it’s simply not the right time in my life to be encountering that particular book. 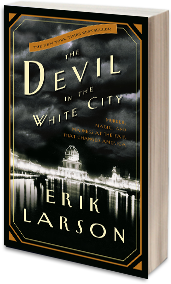 I started The Devil in the White City by Erik Larson twice and was terribly bored. Almost a year later, it was a selection for one of my book clubs so I pushed through the slow part and ended up learning a lot and being glad I read it. 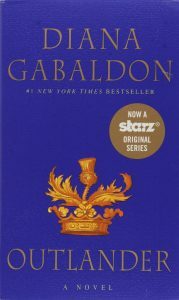 I was 90 pages into Outlander by Diana Galbaldon and ready to quit, when I consulted a friend who loves the series. “Keep going,” she pleaded, “It gets better!” About 25 pages later, I texted her to say things were heating up and I was so glad I stuck with it! Now I’m on the third book in the series. I’ve only ever quit one book club book, which was People of The Book by Geraldine Brooks. I truly gave it my best effort, but I simply didn’t like it. I greatly value my bookish friend’s suggestions so I didn’t want to give up, but I had to, to stay true to myself. She liked that book a lot, and was disappointed I didn’t, but she respected my need to quit. What are your thoughts on quitting books and why? What’s a book you’ve quit or wish you had? I admire your full on focus of living your best you. I aspire to it and love it! I’m with you; I’m either feeling a book or not. 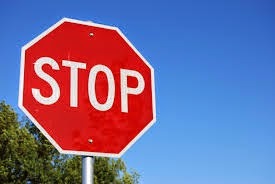 If I feel my attention keep waning, I quit. That being said, I’ve had some books that didn’t work for me at one time, but then when I pick it up later, it’s great. Unless the book is actually bad, I know that not being into a book is more about me than the book. On another note… I was nominated for the Mystery Blogger award, and now I nominate you. You don’t have to accept you don’t want to, but it was fun to do. You can read about it on my blog, if you’re interested. Aw, this was a really nice post. Spending some time and actual effort to make a really good article? I haven’t heard of anyone else having problems, but thanks for letting me know. I’ll look into it. And thanks for visiting my site! It would not get any easier than that.